Ragnar Jónasson is a new name in the crime writing genre and I urge anyone who is a fan of Nordic crime noir to rush out and get yourself a copy of Snowblind this you will want to add to your collection. It is really that good. Set among the snow covered mountains of Iceland the long dark freezing winter were the sun has set beyond the mountains and the days and nights are long and bitterly cold. In the Northwest of Iceland is a small fishing town of Siglufjördur sadly for this community the highs of the herring days are long gone now the small town has become a close knit community where almost everyone knows each other. When you add to this town a killer on the loose you know you are going to get a tense gripping crime novel add to this a young and raw police recruit Ari Thór Arason who has moved from the Icelandic capital Reykjavik to this small fishing town and now a murder has landed on his watch. Ari Thór is a man who has his own personal issues to deal with he lost both parents who he never come to terms with, add to this the fact that he never consulted with Kristin his girlfriend over the job move he is also a failed student, so for Ari Thór life has been somewhat difficult. When he arrives to take up his new post police sergeant Tómas tells him ‘nothing ever happens around here’ I must admit when I read that you just knew something bad was going to happen. Great line. It is not long before he is questioning his motives for moving, he feels along, and an outsider and is missing his girlfriend. But as the days pass for Ari Thór his love life takes on a new twist when he meets Ugla one of the local drama society members, which only adds to his confused state of mind over his girlfriend he left behind. Then things start to happen as the story starts to takes twists and turns with every chapter. We start to read of a woman who has a brutal intruder in her home, and then another woman is left bleeding to death in the snow and then the local famous elderly writer is found dead at the bottom of his stairs. This all adds up to an incredible thriller that you will struggle to put down and will leave you wanting more. I loved the setting of Siglufjördur and its dark snow covered mountains, you almost want to read this wrapped up as you can feel the cold through Jónasson’s writing. The lead character of Ari Thór is one of confused young man not only confused with his relationships but not yet come to terms with his past, this is a young police officer I feel we are going to learn more about in forthcoming series of novels. This is laying the groundwork for something even more special soon. So from the land of fire and ice come Snowblind and I am delighted to recommend this to you, be quick though as the next instalment is due out later this year. And I for one cannot wait. Snowblind is translated into English by Quentin Bates. Thank you to Karen Sullivan at Orenda Book publishers for a review copy in return for an honest review. 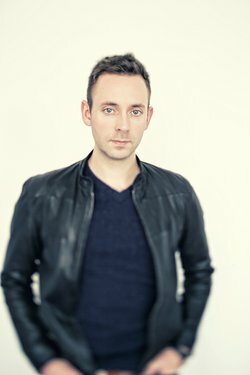 Ragnar Jónasson (www.ragnarjonasson.com) is the Icelandic writer of the Dark Iceland crime series set in Northern Iceland. Snow Blind (2015) is the first book in the Dark Iceland series. Ragnar was born in Reykjavik, Iceland, and works as a lawyer in Reykjavik. He is also a teacher at Reykjavik University Law School and has previously worked on radio and television, including as a TV news reporter for the Icelandic National Broadcasting Service. Before embarking on a writing career, Ragnar translated fourteen of Agatha Christie novels into Icelandic. Ragnar is the co-founder of the Reykjavik international crime writing festival Iceland Noir, and has appeard on panels at Crimefest in Bristol, Left Coast Crime in the USA, Bloody Scotland in Stirling and Iceland Noir in Iceland. Ragnar’s short story Death of a Sunflower was published in Ellery Queen’s Mystery Magazine January 2014 issue, the first story in the magazine by an Icelandic author. His second Ellery Queen Mystery Magazine story, A Letter to Santa, was published in the January 2015 issue. Ragnar’s short story Party of Two was published in the Crime Writers’ Association 2014 anthology Guilty Parties, edited by Martin Edwards. Ragnar lives in Reykjavik with his wife and daughters. 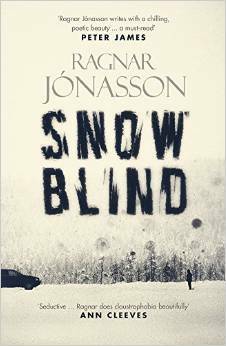 Posted on September 30, 2015, in Orenda Books, Ragnar Jonasson, Snowblind. Bookmark the permalink. Leave a comment.